The most powerful institution in this country is neither the Office of the President, nor the Congress nor the Supreme Court – it is the Federal Reserve Board and a band of unelected economists who live in and breathe in a la la land. The Congress can get bogged down with endless debates about spending a million dollars on Public Radio. It might be an enormous effort for the president to get a few millions for discretionary spending. 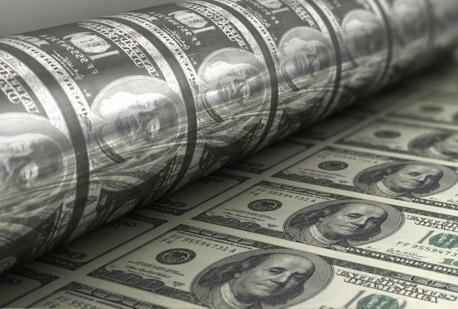 As far as the Federal Reserve system is concerned – there are no limits to what they can do. They are not bound by the electoral politics or repercussions of their stupidity. Bernanke just announced QE3. That was just four short months ago. Scratch QE3. Now we have QE4, which by its very existence tells you that QE1-QE3 were failures. What Bernanke is telling you is, “It didn’t work before, but we are sure it will work now.” Much the same way a guy who is addicted to gambling keeps going back to the table to play more and regain his lost $$$. This is perhaps one of the most emotional rants by me on MMGL. Of course, there is no way to tell if the school shootings in Newtown, CT has an effect.